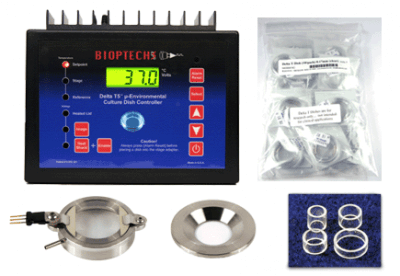 Bioptechs is an innovative American optical engineering company that develops, and manufacturers live-cell microscopy environmental control systems used for qualitative and or quantitative light microscopy. 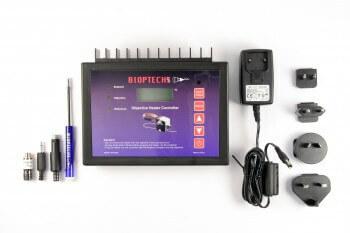 The Bioptechs Delta T™ System is a micro-environmental control system used on microscopes to enable long term acquisition of high resolution, time-lapse images of cells. The FCS2® System is a closed system, parallel plate flow cell environmental chamber used on a microscope to enable the acquisition of high resolution, time-lapse images of cells undergoing either natural growth or fluidic exposure to variant factors.